12/29/2017: THIS CAMPAIGN IS NO LONGER ACCEPTING DONATIONS. 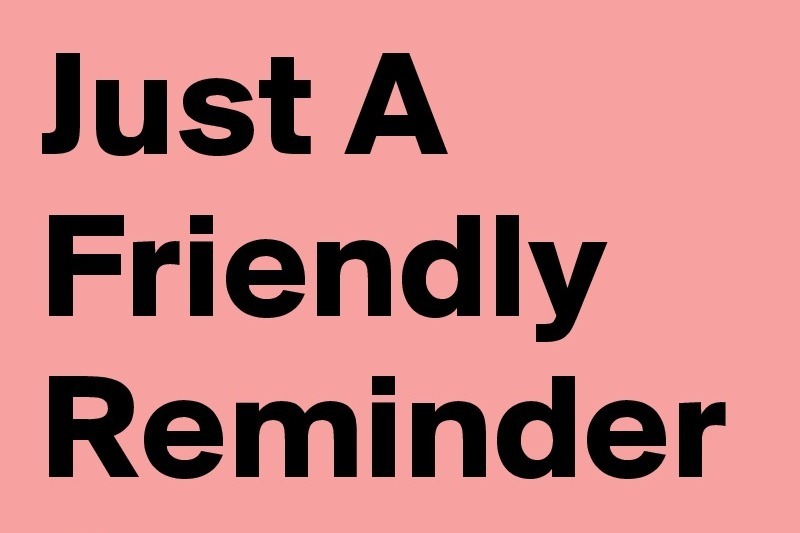 FUTURE UPDATES WILL STILL BE PROVIDED. PLEASE REVIEW THE 60 UPDATES TO LEARN ABOUT THE EVOLUTION OF THIS PROJECT. My name is Rebecca Rodriguez. I am a life-long animal advocate, filmmaker, and consultant from the Pacific Northwest. I am also the creator and producer of "Animal House" and the upcoming International Animal Series entitled "Animal House International". You can see some of my video work HERE. 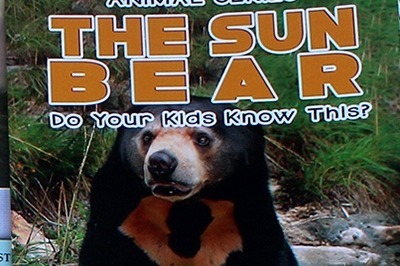 Like many, we have learned of the plight of the Sun Bears and several other zoo animals in Indonesia. I am assembling a team of animal experts to fly to Indonesia to advocate on behalf of these animals with the government agencies and zoo owners. We will be capturing video footage if possible and working to identify ways to inspire accountability and positive change. UPDATE: Our team visited Indonesia in June 2017. Please see the updates to learn about what we found. We understand that there are 28 zoos total and we intend to visit each of them if possible as well as meet with the local advocacy groups, decision-makers, and stakeholders. CLARIFICATION: Since visiting Indonesia, we learned that there are more than 60 zoos and safari parks and countless illegal animal markets in Indonesia. The suffering is indescribable. We aim to examine all the circumstances that are impacting these animals (laws, enforcement, regulations, resources, etc...) and do everything in our power to first improve the conditions and requirements and if possible, free these animals. We will be looking for ways to ensure lasting change and inspire the people of Indonesia to demand improved conditions for animals. UPDATE 4/10/2017: Since this video was taken, the government has intervened and the animals are now being fed. 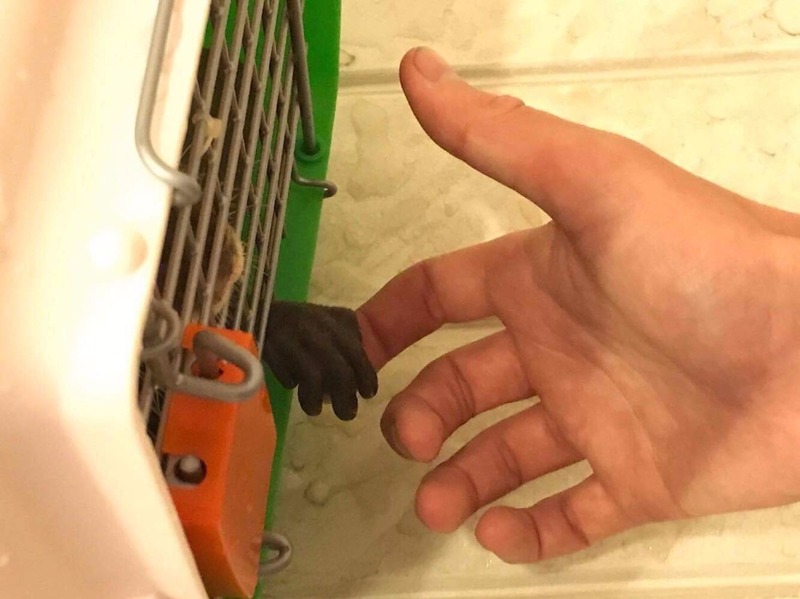 We are not certain if they have established a long-term plan to keep the animals safe and healthy - but we will find out once we visit. We are also working with a P Holmes who is the individual behind the Change.org and Care2 petitions aimed at raising awareness for the plight of these animals. This is a very complex and heartbreaking situation that needs immediate and creative action. We are unsure about what type of reception we will receive but we will do all we can to turn the tide for the animals of Indonesia. PLEASE SEE THE UPDATES TO LEARN ABOUT HOW WE WERE RECEIVED. The $75,000 will be used to cover the expenses of a six-person team to travel to Indonesia for two weeks. This team will consist of a wildlife veterinary expert, an animal legal representative, a rescue/placement expert, a special projects facilitator and a government advocate. Most of the $75K will be used to address the immediate needs facing the animals and for supplies, improvements and/or transportation for any compromised animals. 7/17/2017 PLEASE READ THE CAMPAIGN UPDATES TO LEARN ABOUT HOW THE MISSION HAS CHANGED. To learn more about me and my past efforts on behalf of animals, please visit www.oneanimalworld.com. To see my advocacy film work, please visit Animal Time TV. Thank you for considering this campaign. Please help us help the animals of Indonesia! Please see Update 14 if you have questions about how the funds will be distributed. Please visit www.animalrescuedeceivers.com to learn more about the on-going cyberstalking / harassment campaign that halted my work in Indonesia and damaged my work in other parts of the world. This on-going attack is being perpetrated by CEE4Life, Sybelle Foxcroft, Celia Athumani, Ryan Patrick Bennett and Briony Wolf. The inauguration of the Animal Reading House was signed by ribbon cutting by village head Syaripuddin on Friday (7th of August) and was attended by approximately 30 villagers including men, women, and school children. 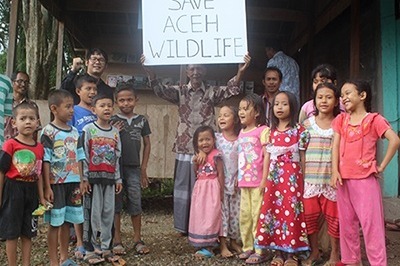 The aim of establishing this Animal Reading House is to raise awareness of Aceh wildlife protection." Take a look at more photos from this happy day! 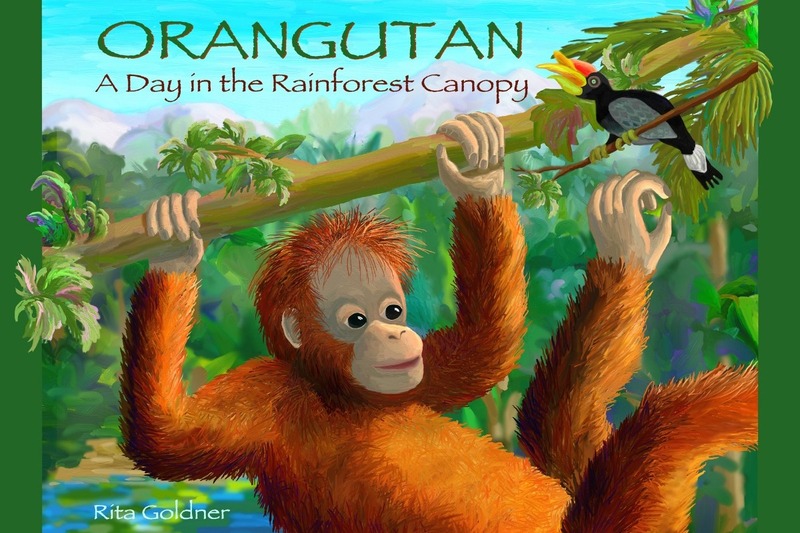 Vanguard Logistics Will Not Release the Books for the Animal Reading House! The Animal Reading House, that came together because of your generous support, to inspire compassion in Aceh, Sumatra, Indonesia, is ready to open to the public. The only problem is that Vanguard Logistics, the shipping company in Indonesia, won't release the 230 books and 60 movies that we sent over. I have been jumping through fiery hoops for months, trying to get the materials released. Several people have engaged numerous officials, with no success. Now, there is a concern that the shipping company is refusing to release the materials so they can sell at auction. Would you be so kind as to take a moment and sign these two petitions linked below and respectfully urge the officials at the shipping company to release the books and DVDs to Scorpion Foundation? I am no longer taking in donations on this campaign due to constant harassment / cyber-stalking and attempted extortion by Sybelle Foxcroft, Celia Athumani, Briony Wolf and Ryan Patrick Bennett of the Australia NGO, CEE4Life. I had disabled this feature some time ago but when GFM upgraded their campaign interface, my preferences were reset without my knowledge. Following the last update, two donations came in for a total of $25. I am refunding the donations. 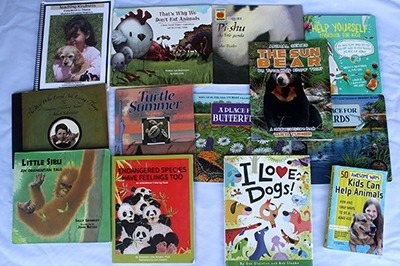 All the books, DVD player and TV monitor will be placed in the Animal Reading House in Sumatra which is constructed with fund from One Animal World. This facility will be used by people in the area as a means to learn more about animals and especially on how to better treat, care, and preserve them. " Note: There are close to 60 films included in the shipment that is currently being held in customs.